This weekend I received the most rewarding phone call that a strength and conditioning coach can receive. 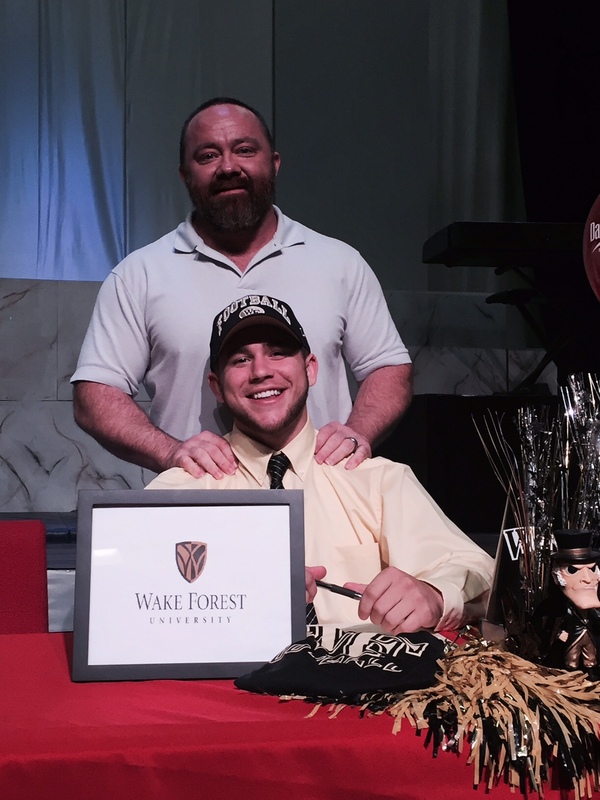 Cade Carney is a freshman running back at Wake Forest University. Last week his team tested the bench press, back squat, clean, vertical leap, and 40-yard dash. Evidently Cade tested really well, and his father called to thank me for the work that I did with him during his high school career. One of the big markers was that he bench-pressed 405lb. Benching four plates is a big deal as a freshman running back. He also clean 370lb, runs a 4.4 second 40-yard dash, and has a 40-inch vertical. Those big numbers are not what this article is about though. I just added that because I am proud of this young man. His father went on to say that the coaches are singing Cade praises because of his technique. His technique in the clean and squat are already the best on the team. That is exactly what I want to hear from the college strength coaches. I want to hear that my athletes have great technique, are easily coached, and have the best attitude on the team. That’s what you should want to hear as well if you are a high school strength and conditioning coach. When I coach a high school athlete, I have certain goals that I want to accomplish with them during our time together. At this point in my career, I only work with athletes that have the desire and the potential to play Division I athletics. It’s not that I don’t enjoy working with athletes from a variety of athletic abilities. It’s simply that I am limited on time. If you are a high school strength coach, you should have a list of markers for your athletes as well. Don’t be the coach that just beats the crap out of athletes on a daily basis. What are you accomplishing with them? That’s the question to ask. Whatever markers you set should be easily quantified. Here is a look at the markers that I set for my athletes. 1. I want their technique on lifts and athletic movement to be perfect. Perfect technique ensures two things. It ensures that they are performing the movements safely. It also ensures that they are getting the most out of the movements. Proper technique and movement of a clean will produce the most power. That’s the point of performing the clean. This is the job of a high school strength coach. It’s a big job. If you are just taking money from parents and running kids through a circuit, then you are stealing money. It takes time on your part to prepare these young men and women. Your goal should be to get the phone call letting you know that you prepared your athlete perfectly for their college sport. I am excited to watch Cade play this fall. I will get to watch the fruit of my labor march up and down that field.